Zombie Nation was one of those games that I’ve heard plenty of negative feedback about throughout my years of collecting, and I’m not really sure as to why. Is it the difficulty the game possesses even when on its easy setting? 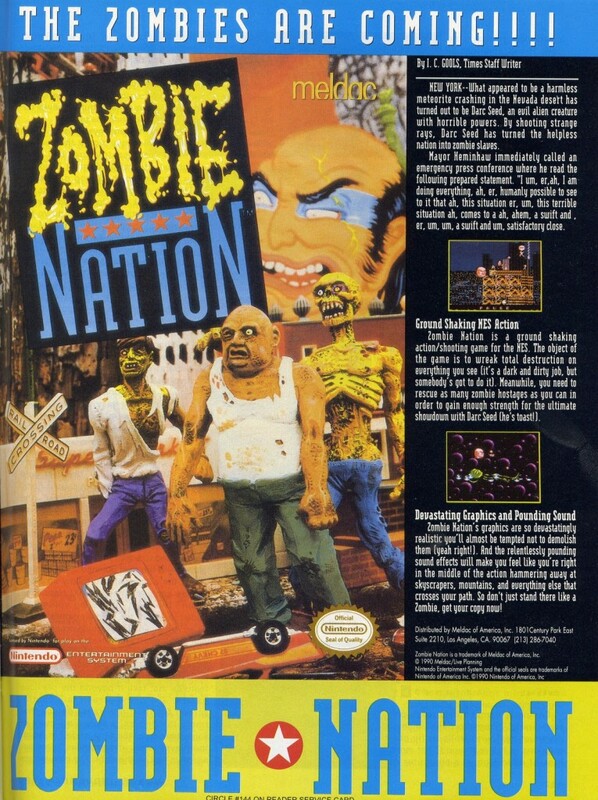 The odd box art which depicts cartoonish zombies made out of clay? Or maybe it’s the $200 plus price tag the game commands on eBay? I personally believe a large part of the thrashing it gets is due to gamers not having access to the game’s manual, which is packed full of useful information to help them understand samurai Namakubi’s power-up system, as well as a proper explanation of the confusing health meter. Considering the manual by itself fetches over $100 on eBay, I’m pretty sure that many of you would play it smart and just look up the description online somewhere, but I’m here to save you the trouble and explain in detail the game’s mechanics along with my review. Maybe I can change some minds and get more players to give Zombie Nation another chance. Zombie Nation starts off in the year 1999, when what appears to be a meteor crashes into the Nevada Desert. Unfortunately for the people of the United States, this was not a meteor at all, but rather an evil alien creature that goes by the name Darc Seed. Using powerful magnetic rays, Darc Seed has turned the whole nation into zombies that fight alongside of him and do his bidding. These powerful rays have also granted him control over America’s deadliest weapons, but none are more powerful than the legendary samurai sword, Shura. This awakens the great “head” of the samurai, Namakubi, and he sets off immediately for the United States to get his sword back, save the people of America, and destroy the evil Darc Seed. I put the word “head” in quotations because that’s exactly what you will be in control of through your gameplay experience. Most people seem to think you control the severed head of Namakubi, but it’s actually a holographic representation sent by the samurai by way of mystical powers he possesses. 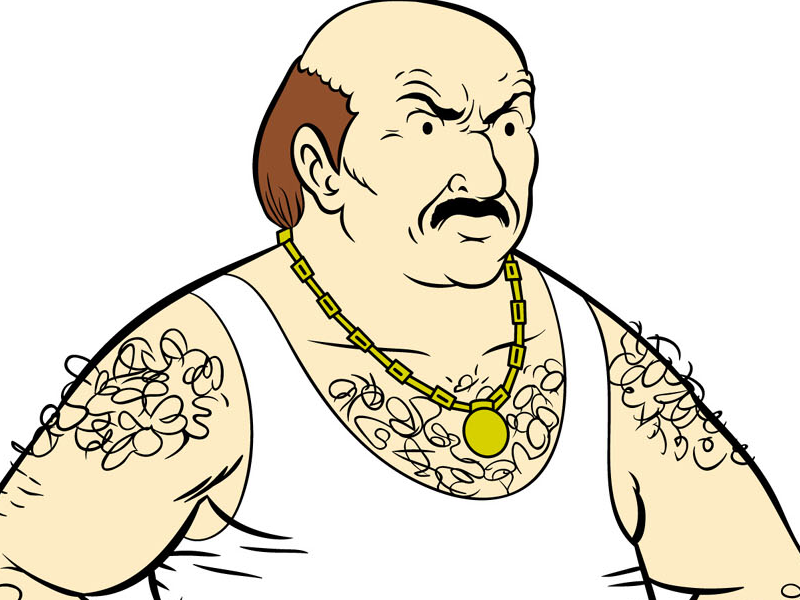 Severed head or not, the sprite looks very similar to the character Carl from Aqua Teen Hunger Force. Oddly enough, the Japanese version of the game replaced the samurai’s head with a tengu mask, making it one of the few games that was censored for Japan and not the other way around. There is no denying it, Zombie Nation is hard. It’s one of the only “bullet hell” shooters on the NES, which is a feat in itself considering having more than two or three sprites on any given screen would cause an immense amount of slow down on most NES titles. The level of fast action going on during the intense gameplay of Zombie Nation is amazing from a technical standpoint, and completely surprised me the first time I saw it in action. 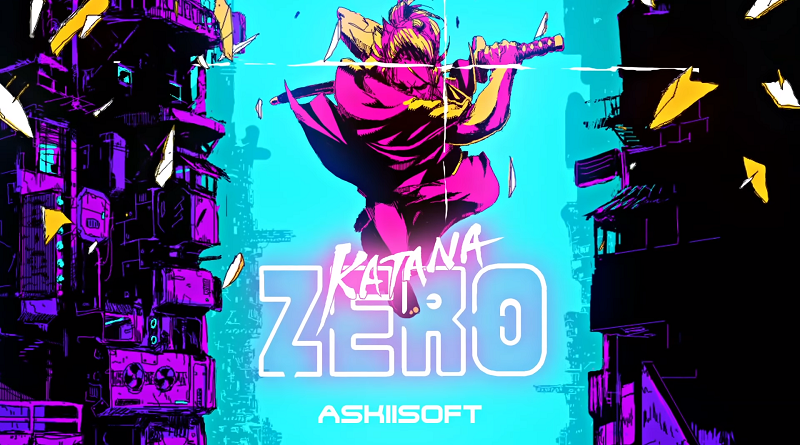 Buildings are engulfed in flames, numerous enemies are unloading countless projectiles, zombie hostages are launched through the air, and the large sprite of Namakubi’s head is maneuvering throughout all of this at a frantic pace – and all at minimal slowdown. When you do finally have a moment of slowdown it’s a blessing, and should be taken full advantage of, as moments of calm will be few and far between. Graphically, Zombie Nation has some very high points and also a handful of low points. The flames that Namakubi shoots out of his mouth and eyes will cause a severe amount of damage throughout the four stages of the game. 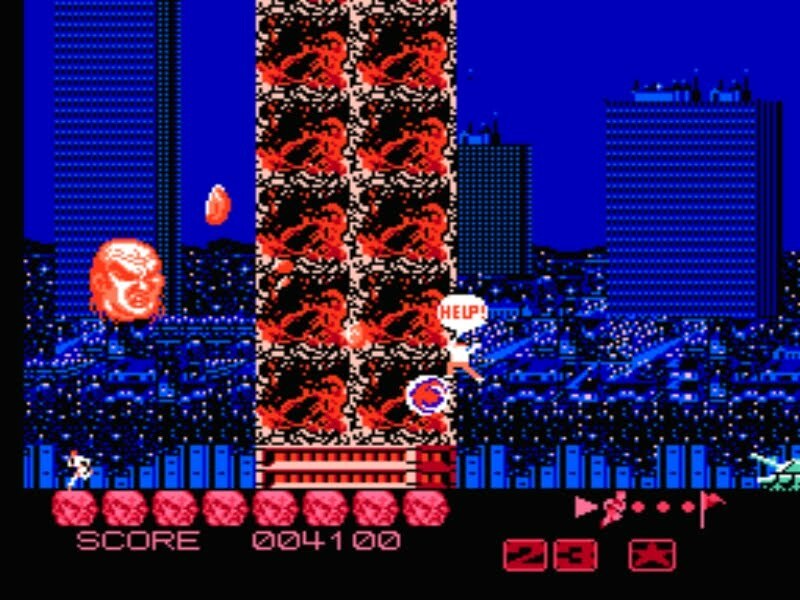 Seeing the flaming buildings alongside large smoke stacks in the nuclear power plant boss battle is visually unlike any other game I’ve seen on the NES console. The Statue of Liberty boss battle on Stage 1 is very memorable as well, with one half of the screen consisting of Miss Liberty’s head (with snakes on it since this was Medusa in the Japanese version) and the second half being her torch that she’s trying to kill you with. Unfortunately not everything in the game is as spectacular, as some of the boss battles with some sprite work being just plain ugly. Zeppelins are blotchy messes and the zombie hostages themselves look like stick figures when flying through the air. The nuclear power plant stage plays out like a maze and some of the walls just don’t blend in very well with the game’s background, making it an extremely difficult to traverse. It’s really hard to pinpoint on whether the graphics come across as amazing or just a bit above average since the downfalls do interfere with gameplay. To add to the confusion is the lack of a health meter during the boss battles. Considering your state of health carries over between stages, I’m still unsure if the game grants you a full health meter at the beginning of a boss battle or if you’re at the same level of health you were at the end of the stage. The only explanation I could find on a missing health meter is the bosses are enormous sprites that take up most of the screen leaving no room for the meter, but that’s just unfair to the player. Even with these graphical issues I still consider Zombie Nation to be one of the best looking games on the console. On an audio standpoint Zombie Nation doesn’t disappoint. The music blends nicely with the game’s bleak, apocalyptic tone and gives you a feeling of uneasiness. Building explosions sound amazing, as do the countless enemies you will dispatch on your way to defeating Darc Seed. When Namkubi is near death a fast paced version of the Jaws theme will make you feel extremely anxious while bobbing and weaving through countless enemy fire while trying to hit the 10,000 point mark to gain a bit of extra health. There are portions of the game where there is just too much going on, and the sound effects will grate on your ear drums, but it’s not a constant thing. Overall, the game’s sound is very well done and a few of the stage tracks are very memorable. I mentioned before that most gamers will probably have a difficult time with Zombie Nation due to not reading the game’s manual. 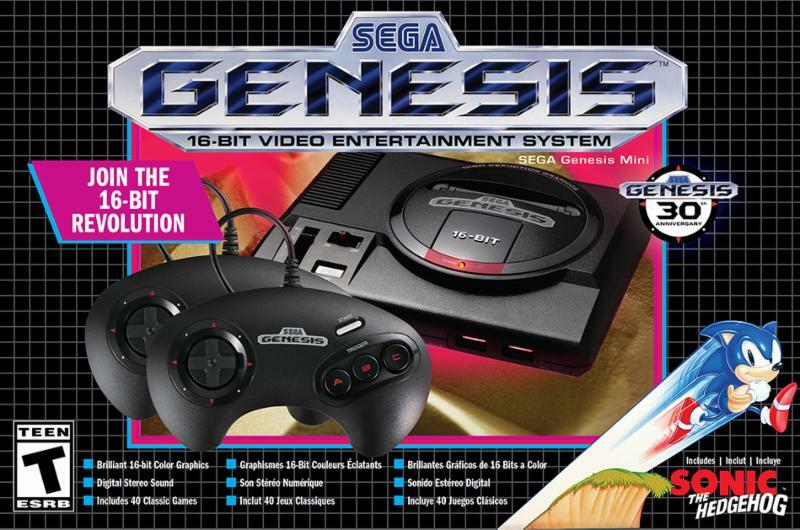 One important and unexplained feature is that you are given 6 continues at the start of the game, but after you clear each stage an additional continue is added, with a max continue count of 9. Continuing doesn’t start you off where you died, but at the beginning of the current stage. Now, I’d like to touch on some key components that will help some understand why you may be dying and why firepower increases at random. First I’d like to explain Namakubi’s health system. On the bottom left of the screen you will see 8 Namakubi heads. This is basically your health meter. You can take several shots from enemies before you lose a head and it turns into a skull, but if you were to run into one of Darc Seed’s many lasers you will lose all but 1 head immediately. Lose all your heads and it’s game over. Thankfully, there is a way to boost your health by increasing your score. The head amount increases are in 10,000 point increments, whereas every 10,000 points will increase your health. Along with trying to keep your health meter full, you can also increase your firepower. This is done by saving zombie hostages that jump out of structures that Namakubi destroys before they reach the bottom of the screen. To the right of your health meter are four dots leading to a flag. Throughout the level a small running man will appear making his way toward said flag. The average player would confuse this for an indicator on how far you are from the end of the level, but that has nothing to do with this meter. This is actually called the “Rescue Meter” and fills with each zombie hostage that you rescue. Each zombie hostage will cause the running man to make his way toward the flag, with 5 being the max. Once the hostage is at 5, you now have acquired double rapid fire and the meter resets. After another 5 hostages are rescued (making it 10 total) triple rapid fire takes effect and again, the meter resets. The 15th hostage rescued will activate Namakubi’s smart bomb that can be used by pressing the “A” button and will kill everything on the screen. If you had trouble with Zombie Nation before I hope this knowledge of the game’s mechanics will push you to give the game another go. 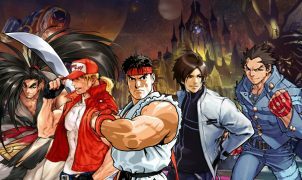 I, for one, had no idea what was going on the first night I played the game for this review, but once I read through the manual I got a huge amount of enjoyment out of the game thanks to understanding what all the meters meant. The ending of Zombie Nation was very fitting and capped off an extremely odd game perfectly. I had a hell of a time my first playthrough of the game because I didn’t read over the manual, but once I was able to look it over, my enjoyment increased dramatically. If you fired this up on an emulator to see what an extremely expensive game played like and you were immediately turned off by what you experienced, I implore you to give this one another go. Just remember to check back here and go over the health and weapons system and I think you’ll be surprised to find yet another fun title in the NES library.